I’ve recently received this super fun book, Fun Science by Charlie McDonnell AKA Charlieissocoollike from the lovely Stephanie at Midas PR. 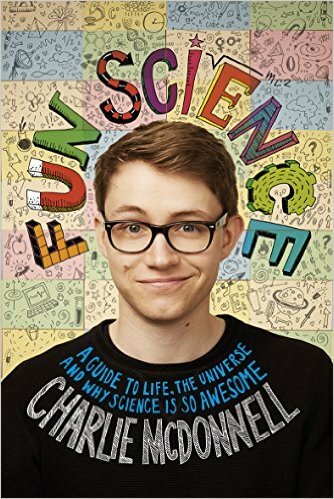 Charlie McDonnell is the first UK Youtuber to reach 1 million subscribers and his aim in writing Fun Science is to share his love of the subject, create new fans, and show that science is an integral part of everyday life, not just a subject you are forced to take at school. Fun Science was released on the 20th October 2016 in hardback published by Quadrille Publishing and is pretty awesome. Welcome, fellow humans (and others), to the world of FUN SCIENCE! I’m Charlie, also known across the internet as charlieissocoollike. In my book, I’ll be taking you on an awesome journey through the cosmos, beginning with the Big Bang through to the Solar System and the origins of life on Earth, all the way down to the particles that make up everything around us (including you and me!). 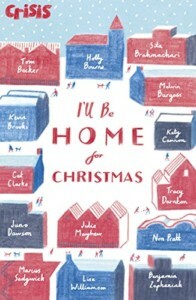 Source – I was sent a copy of this book by the wonderful people at Midas PR. This does not affect my review or my opinions in any way and am delighted to write an honest review. 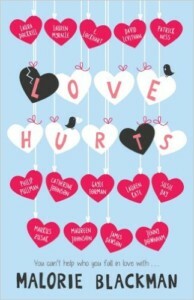 Thank you Midas PR for sending this to me to read and to Stephanie for organising! 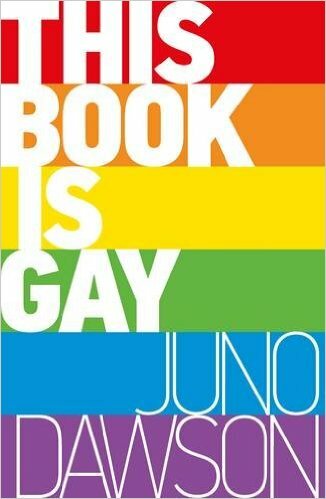 I wasn’t really sure what to expect when I first saw this book. I raise my hand up high and admit that I had not heard of Charlie prior to the book, but my 11 year old son had and sometimes watches his videos. 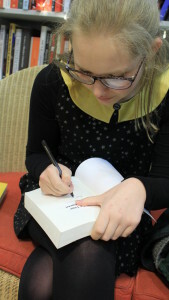 I found myself flicking through the pages, firstly to have a quick look and then becoming fully engrossed. The book is split into ten sections ranging from The Universe to Life to The Brian and The End Of Time. It is full of wonderful illustrations by Fran Meneses and Dave Brown and they bring Charlie’s words to life on the page. The book has fun facts and ultimate fun facts throughout and also includes some activities and mini experiments throughout. Myself and my son had numerous fun trying an experiment involving our right leg and drawing a number six with our right arm! Charlie’s love for all things science shines brightly and he guides you through each section like he is excited to share things with you along the way. It’s bright, it’s colourful, it’s full of facts and most of all it does what it says on the tin….it makes science fun! This video chats a bit more about how Charlie write Fun Science…. 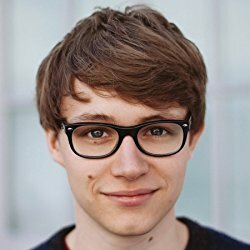 Charlie McDonnell (known on YouTube as charlieissocoollike) is a British Video Blogger, Filmmaker and Musician from Bath, who currently resides in London. After starting to post YouTube videos in 2007, Charlie became the first Video Blogger in the UK to reach one million subscribers on YouTube. His most viewed video is of him doing a bad american accent (he’s not sure why that happened) and his second most viewed video is “Duet With Myself,” which he’s a bit more proud of, honestly. In 2010 Charlie released his first album, “This Is Me.” People seem to really want him to make more music but he hasn’t gotten around to that yet. Throughout 2013-14, Charlie made a series of four short films, funded directly by YouTube. He likes to think they got better as he made more of them, but is happy for you to disagree with him on that. Over the years, Charlie has worked on numerous projects for charities, including Cancer Research UK, UNICEF, Children In Need, Comic Relief, Save The Children and the Alzheimer’s Society. I guess he must like helping people or something. Beyond his own YouTube channel, Charlie has worked on many online video projects, notably “Science of Attraction,” hosted by Derren Brown, and a series of video blogs from behind the scenes of Doctor Who for the BBC. He’s also worked with many brands to produce videos for his own channel, including Microsoft, Sony Pictures, Pixar, Disney, and Tommy Hilfiger. Charlie is a regular participant in Radio 1’s Internet Takeover show (yes, for the actual radio) and he’s also tried his hand at voice acting for Mike Bithell’s upcoming video game “Volume.” He’s pretty new to both of these things, but fortunately hasn’t been told off for doing a bad job by his bosses. Yet. In his spare time Charlie enjoys consuming media in all its forms, and hanging out with his girlfriend and their cat, Gideon. Basically, he is deceptively boring. 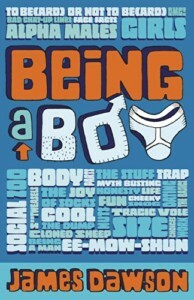 A huge thank you to Stephanie at Midas PR for sending me a copy of this book! Have you read Fun Science? Does it sound up your street? Do you have any fun science facts? I would love to hear from you! Why not leave a comment using the reply button at the top of the page or tweet me on twitter using @chelleytoy ! 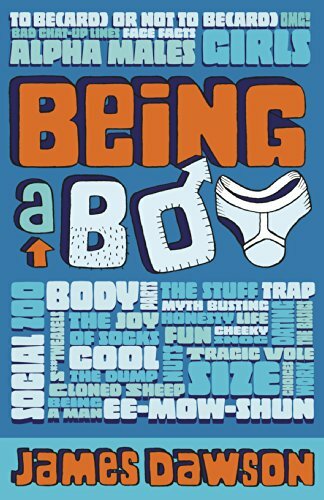 This entry was posted in Non Fiction, Review and tagged 5, Charlie McDonnell, Fun Science, Non Fiction, Quadrille Publishing, Review on October 26, 2016 by Chelley Toy. Earlier this year I featured a brilliant guest post from award-winning writer and filmmaker, with a passion for climbing and adventure, Matt Dickinson (you can find that post here). His most notable film success was Summit Fever in which Matt reached the summit of Everest via the treacherous north face. His book The Death Zone tells the true story of that ascent and has become a bestseller in many different countries. The second book in Matt Dickinson’s Everest Files series, which is based upon upon his own experiences of climbing Everest with actor Brian Blessed during the 1996 disaster. In April / May this year, Matt has been blogging from Everest Base Camp as part of his appointment as ‘Writer in Residence’ with Jagged Globe’s 2016 Everest South Col expedition. I am honoured to be able to feature one of the blog posts about the Himalayan megaquake on Tales today with kind permission from Lorna at Vertebrate Publishing and Matt ! 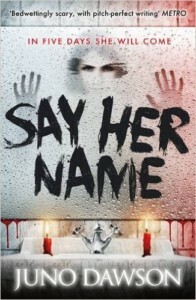 First, here’s a little about the book…..
Ryan Hart is an 18-year-old adventurer on a mission. To get himself to Mount Everest and check out the truth about the world’s highest peak. Friends have told him dark stories about the mountain, outrageous things that he wants to see for himself. Just a few hours after Ryan arrives at Everest Base Camp a lethal earthquake strikes. Avalanches pound the glacier, burying Ryan’s climbing buddy and killing many others. A desperate rescue saves Ryan’s friend, but only after a local Tibetan girl Tashi helps with the search. Stress levels are running high among the climbing teams. The mountain is shut for the season because it is judged too dangerous. Then a flashlight reveals a clue. Someone is alive, high on Everest’s treacherous north face! Tashi is convinced it is her 15-year-old brother. Ryan is prepared to risk everything to help. Storm clouds gather as they set out on their illegal climb, a do-or-die mission which the local militia will do anything to stop. 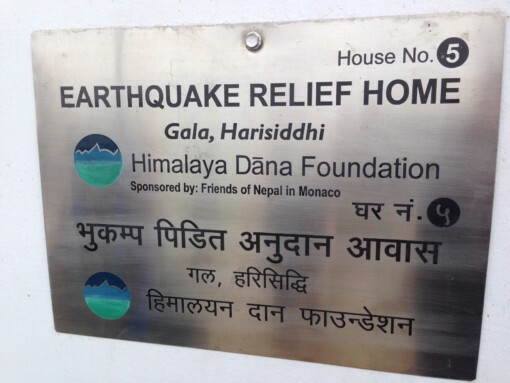 Our journey began in Kathmandu, the capital of Nepal, a country devastated by a terrible earthquake just one year ago. 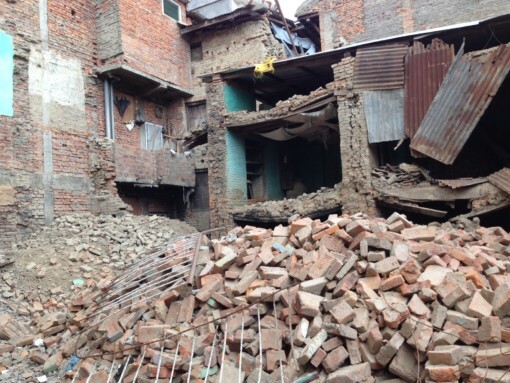 Kathmandu still has many visible scars from that catastrophic event; the central temple area of Barkor Square is flanked with buildings in a state of collapse. 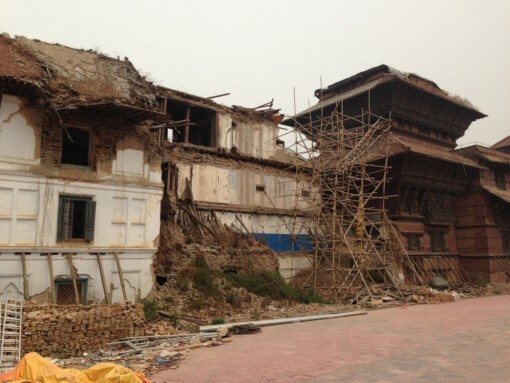 There are many Kathmandu temples still in a state of collapse. 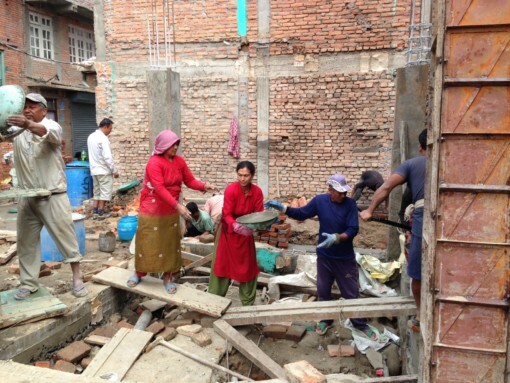 Many thousands of houses were destroyed one year ago as a massive earthquake hit Nepal. International agencies have provided emergency shelters. 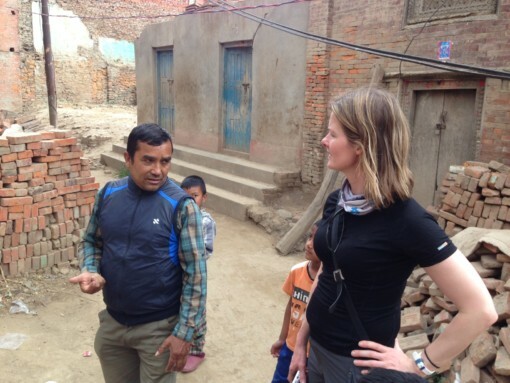 Jagged Globe Everest climber Mary Scannell is taken to see earthquake damage in a small village near Kathmandu. 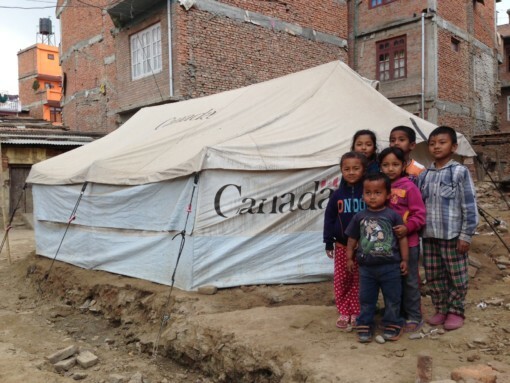 Thousands of Nepali children are living in emergency tents and shelters. More blog posts are available at everestfiles.com under the tab ‘Matt on Everest 2016’. 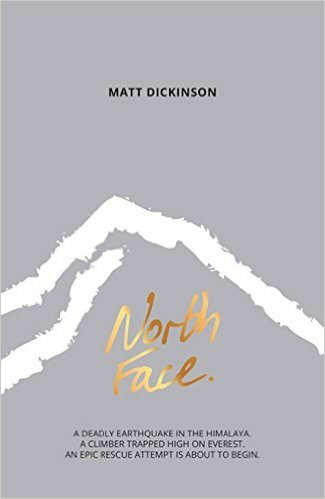 You can buy North Face by Matt Dickinson here or why not visit your local independent bookshop for a copy. 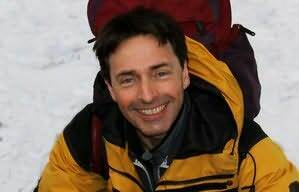 Matt Dickinson is an award-winning writer and filmmaker with a passion for climbing and adventure. During his filmmaking career he has worked as a director/cameraman for National Geographic television, the Discovery Channel, the BBC and Channel 4. His film projects have taken him to Antarctica, Africa and the Himalaya, often in the company of the world’s leading climbers and expeditioners. Matt is currently Patron of Reading at Lady Manners School in Bakewell and continues to climb and explore. In January 2013 he summitted Mount Aconcagua, which at 6,965 metres is the highest peak in the world outside the Himalaya. Currently, he is planning an ascent of Denali in Alaska, one of the ‘Seven Summits’. 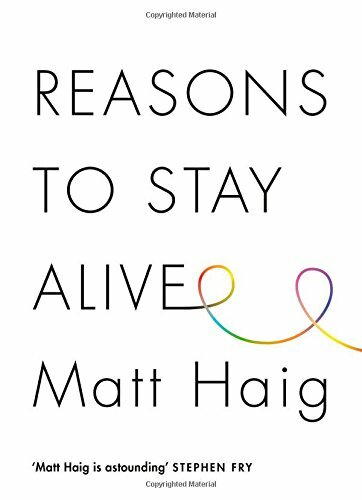 Recently Matt has started writing fiction for teenage readers. His debut thriller series Mortal Chaos was well received by critics and readers alike. Matt followed this up with the first of three The Everest Files books, which has proven to be very popular. North Face is the hotly anticipated second title in the trilogy. When he’s not writing, Matt tours the UK, speaking at schools and colleges and inspiring a new generation of adventurers. 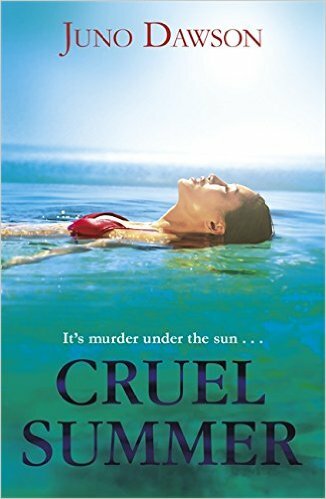 Another huge huge thank you to Matt for a fab guest post and to Lorna at Vertebrate Publishing for organising and giving me permission to feature this on my blog! Are you a Matt Dickinson fan? Have you read any of the Everest Files? What did you think? Has this guest post intrigued you? I would love to hear from you! Why not leave a comment using the reply button at the top of the page or tweet me on twitter using @chelleytoy ! Happy Reading or climbing Everest! This entry was posted in Guest Post, Non Fiction, Other and tagged Everest Files, Guest Post, Matt Dickinson, Non Fiction, North Face on July 26, 2016 by Chelley Toy. When the lovely Faye Rogers asked me if I would like to be part of this fab blog tour I jumped at the chance. 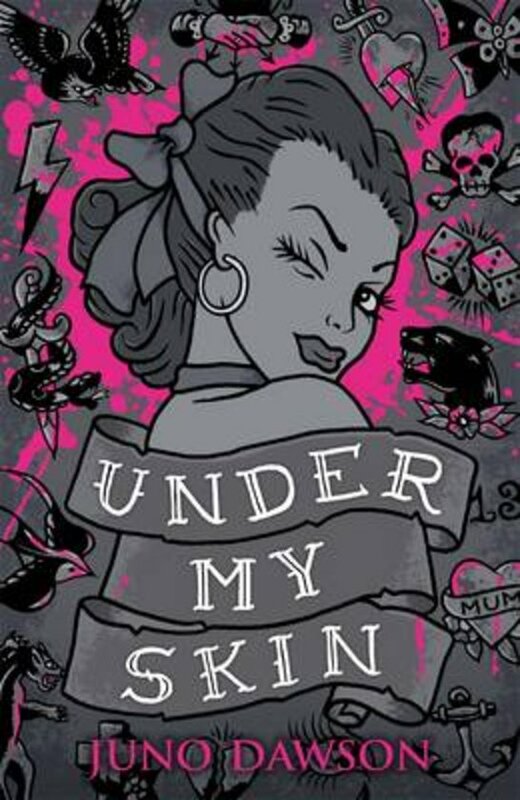 Being a mother myself I thought this was a great way to see what this book was about a bit further as it sounded really interesting! 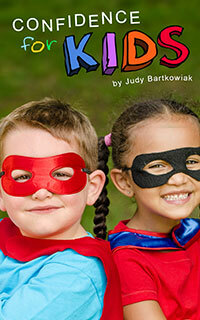 For my stop on the blog tour the lovely author Judy Bartkowiak talks to us about confidence in our children with some handy tips to help with our children’s confidence. A huge thank you to Faye Rogers and author Judy Bartkowiak for having me on this wonderful tour! 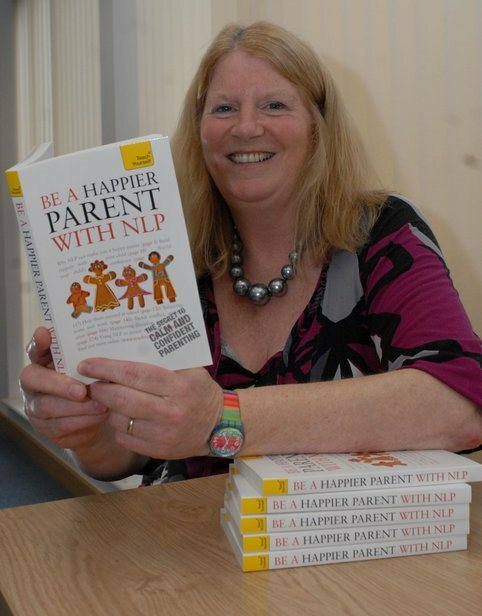 “Be A Happier Parent with NLP” gives you the skills you need to raise a confident, secure child in a confident and secure manner. 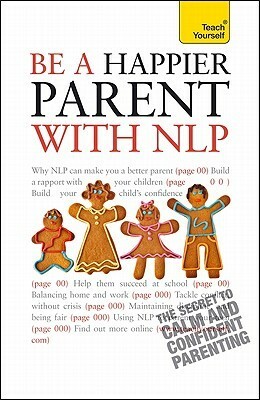 The book uses the tried, trusted and proven techniques of neuro-linguistic programming to help tackle areas in which you may feel you lack confidence as a parent, while at the same time giving you the skills to help your child be happy, fulfilled and confident him- or herself. You’ll find yourself feeling less guilty, more in control, and communicating better with your child–at the same time be able to support your child in difficult situations and help him or her grow into a well-rounded adult. Includes: Personal insights from the author’s many years of experience of working with children Practical exercises to help you engage with the book and act on what you learn One, five and ten-minute introductions to key principles to get you started Lots of instant help with common problems and quick tips for success, based on the authors’ many years of experience Tests in the book and online to keep track of your progress Quick refreshers to help you remember the key facts. I read the other day that failure is children’s greatest fear nowadays, not monsters under the bed or even the bully in the playground. What children fear most is failing, yet in life we know as their parents that life will present many challenges and opportunities to make mistakes so if they fear failure now, how will they learn the resilience that they will need to cope with those challenges they face further down the road in life? We need to teach them confidence because this is like having your own built-in protection. It may seem strange to talk about teaching confidence, after all, we assume children already have it don’t we? 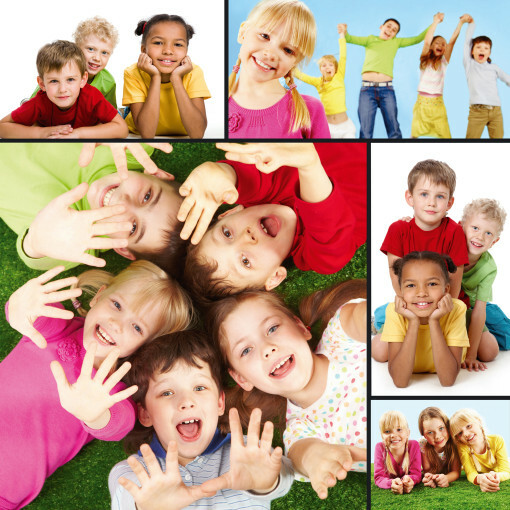 When parents bring children to me (I’m also an NLP Kids Coach) they talk about their child having lost their confidence so one of the things I do with children is to find it again and that’s what you can do, here’s how. 1. When we start to notice that our child seems shy or quiet in company, starts fidgeting when people speak to them or doesn’t meet their eye contact we think they lack self-esteem and describe them as ‘shy’. When they say they don’t want to do something or they opt out of social situations or opportunities to join in, again this confirms that they seem to lack confidence. 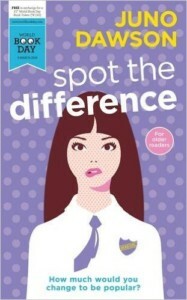 We put these different examples together and it starts to build a bigger picture of a child with low self-esteem. Maybe we find ourselves only noticing these patterns because we are slightly worried about it and we no longer notice examples of confident behaviour. This is very typical. When we are worried about something, we find ourselves noticing more and more of it. So what can you do to turn the tide? Instead, become curious. Start looking for signs of confidence everywhere. You will see it. The more you look for it, the more you’ll see it as well. Children notice what you are taking an interest in and subconsciously they will display more of the confident behaviour as well. 2. Sometimes we justify their lack of confidence by saying that we are quite shy ourselves or we perhaps also avoid opportunities to be centre stage. Our children model us. What they see us do is their pattern for life so if we hold back then they will copy that way of being and value it as the right way to be. They will be critical of others who are more confident and find their friends amongst others like them with whom they feel comfortable. 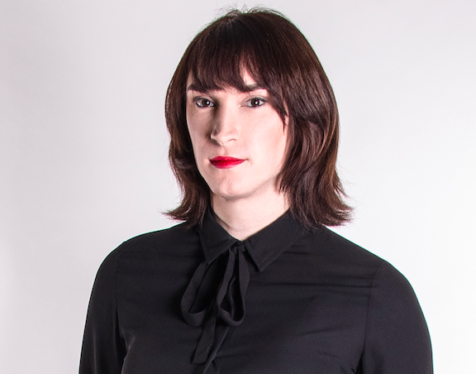 So you need to model how you’d like them to be. Act as if you were confident to show them how to do it. For more ideas on how to build confidence in your child email judy@nlpkids.com for your free copy of ‘Confidence for kids’ (EBook or PDF). Judy Bartkowiak comes from a business background where she worked with Toy companies and TV production companies helping them to understand children and their relationship with brands such as LEGO, Baby Born, Bratz, Thomas the Tank Engine, Pocoyo, Fireman Sam and many other well-known names. She runs Kids Brands Europe alongside her NLP training and coaching www.kidsresearch.co.uk and has a Facebook Kids Panel for Market Research which is done online or from her home. She has an NLP training and coaching practice NLP Kids www.nlpfamily.com, specialising in child and parenting issues and runs Kids Brands Europe (www.kidsresearch.co.uk) as well as writing for children as JudyBee. Judy loves playing tennis and reading as well as spending time with her family. 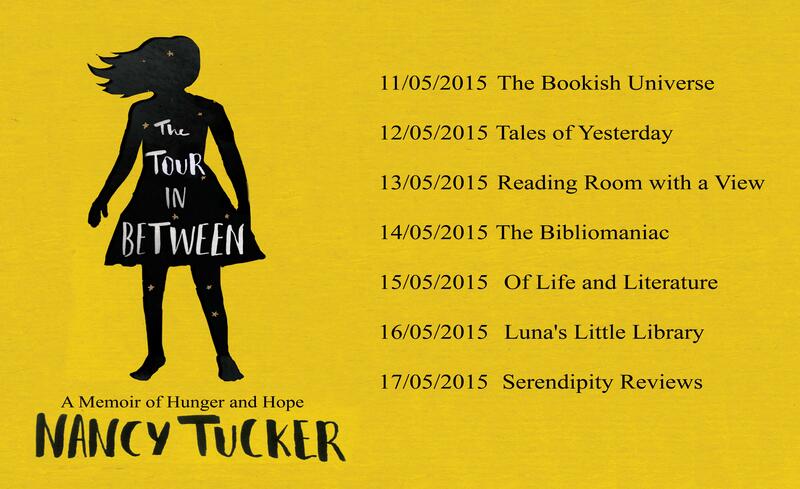 Don’t forget to follow the rest of this awesome blog tour! Have you read this book? What did you think? What did you think of the Confidence guest post? I would love to hear from you! Why not leave a comment using the reply button at the top of the post or tweet me on twitter using @chelleytoy ! 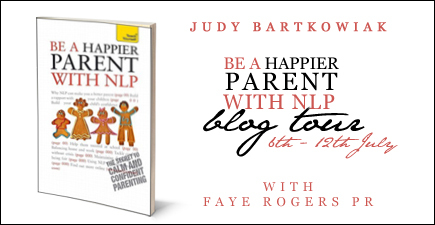 This entry was posted in Guest Post, Non Fiction, Other, Self Help and tagged Be A Happier Parent, Blog Tour, Guest Post, Judy Bartkowiak, McGraw Hill, Non Fiction, Self Help on July 6, 2015 by Chelley Toy. 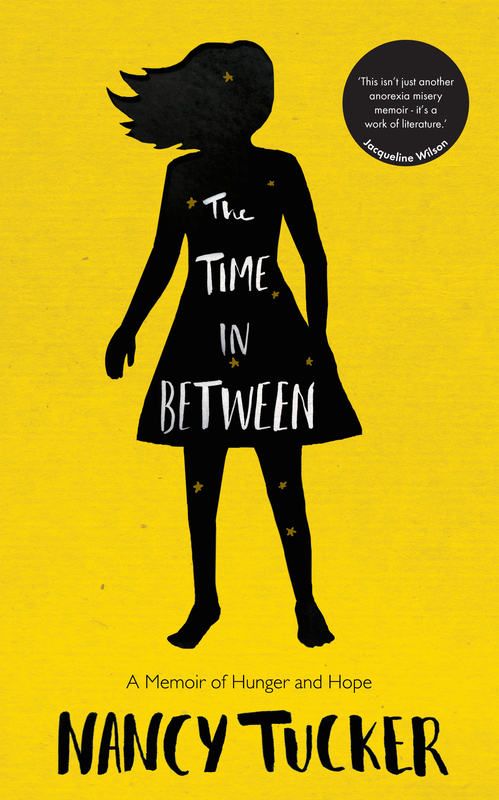 I have recently been sent a copy of The Time Inbetween by Nancy Tucker by the brilliant @sablecaught who works at Icon Books. 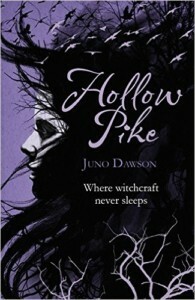 I have not got around to reading it yet, but it is high on my TBR pile and is set to be an insprational read! My own review will follow shortly but for now here is a bit about the book…. 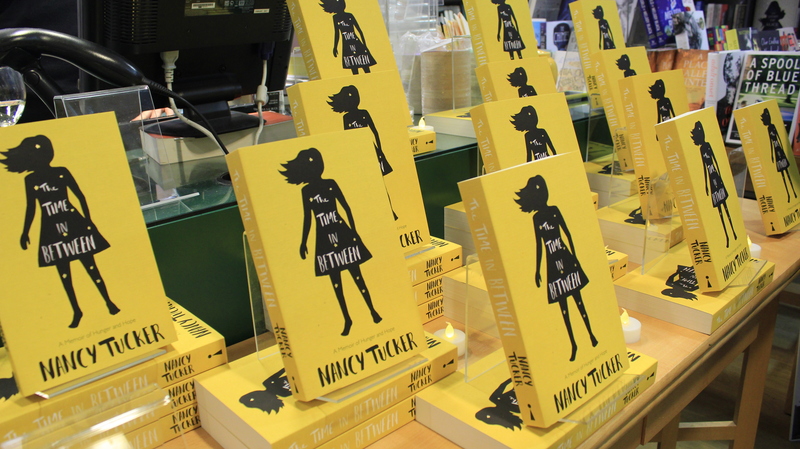 When Nancy Tucker was eight years old, her class had to write about what they wanted in life. 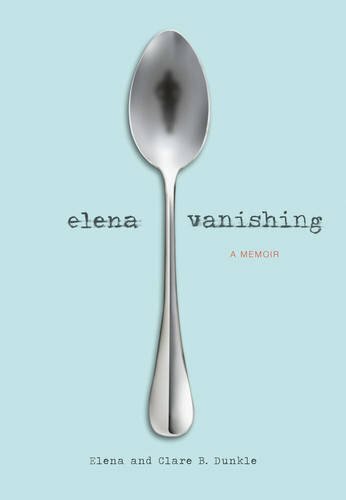 She thought, and thought, and then, though she didn’t know why, she wrote: ‘I want to be thin.’ Over the next twelve years, she developed anorexia nervosa, was hospitalised, and finally swung the other way towards bulimia nervosa. 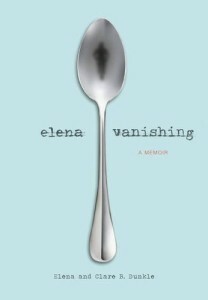 She left school, rejoined school; went in and out of therapy; ebbed in and out of life. From the bleak reality of a body breaking down to the electric mental highs of starvation, hers has been a life held in thrall by food. 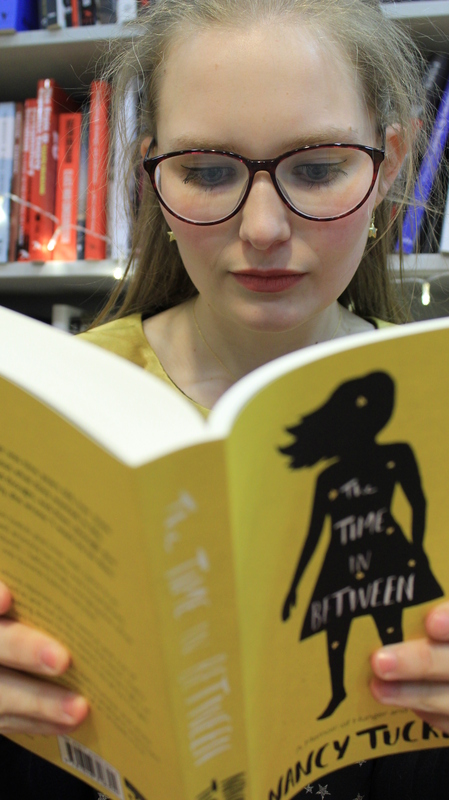 Told with remarkable insight, dark humour and acute intelligence, The Time in Between is a profound, important window into the workings of an unquiet mind – a Wasted for the 21st century. 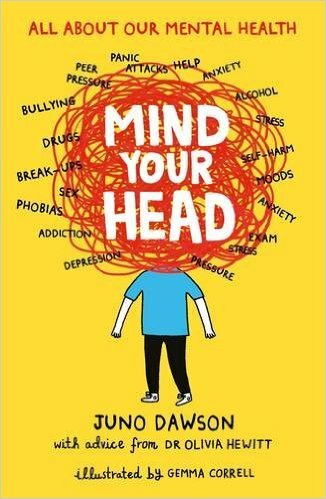 I was over the moon to be asked to be part of the blog tour for this books espcially as this week is Mental Health Awareness week…something I am hugely passionate about supporting! You can find out more here where you can find advise and support for anyone who needs it whether you are suffering or know some one who is. Therefore I asked the brilliant author Nancy Tucker who has struggled with Mental Health for a long time to share some books that are on the top of her TBR pile that champion mental health! And she has picked some great reads that I will be adding to my pile straight away! 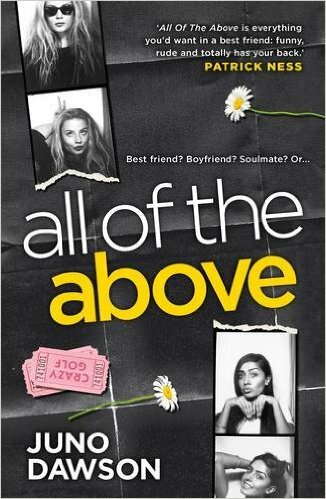 There is also a brilliant giveaway over on Goodreads! I will pop the link at the bottom of the post! I know, I am shamefully late to the party with this one! I don’t tend to feel quite the same magnetic pull to depression memoirs as I do to those which explore eating disorders, simply because I’ve never personally suffered from depression in its own right, only as a by-product of anorexia/bulimia. 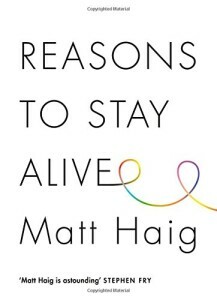 But I’ve heard amazing things about this book, its message and the hope it conveys, so am really excited to read it. 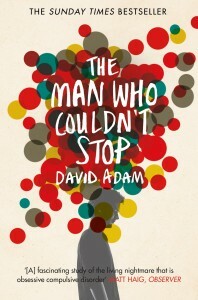 I always think OCD is the disorder with the most to contend with in terms of public ignorance, misunderstanding and general stupidity, so I am really intrigued to see how this book undermines common misconceptions and explores the way in which ‘normal’ obsessions/compulsions are elevated to a torturous extreme in OCD sufferers. There’s also a personal interest for me, as though I’ve never personally experienced OCD I do think there is a significant overlap between OCD and anorexia in terms of attempting to feel safe through ritualised behaviour. 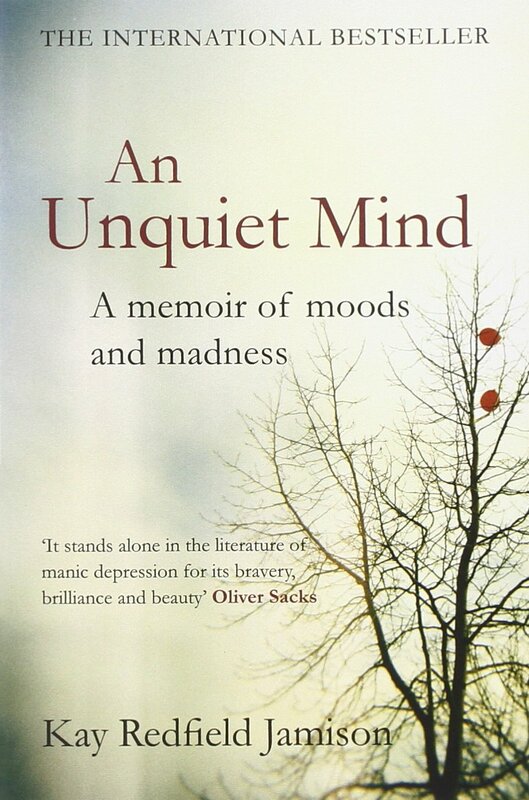 I’ve heard this referred to as ‘the definitive text on manic depression’, so it feels like a good place to start in terms of learning about a condition I currently understand very little. 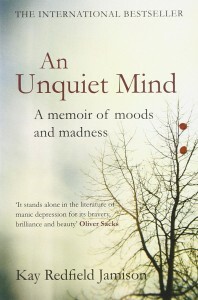 Though I’ve never suffered from anything even approaching manic depression myself, the notion of uncontrollable swings between mania and despair is one which does feel a little familiar to me – albeit on a much more muted scale – and I am interested to see how Jamison balances recounting her own experiences of the disorder with giving her professional insight as a clinician. An eating disorder book which I’ve not read is a rare thing indeed, so I am very excited to get my hands on this when it is released in a couple of weeks! 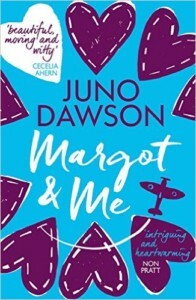 As far as I can tell it is a co-written account of a mother and daughter’s struggle with the daughter’s anorexia, which isn’t a novel concept (Hungry – Sheila & Lisa Himmel; Alice in the Looking Glass – Jo & Alice Kingsley) but one which I think usually works very well, as anorexia often has the most profound effect on the relationship between mother and daughter. 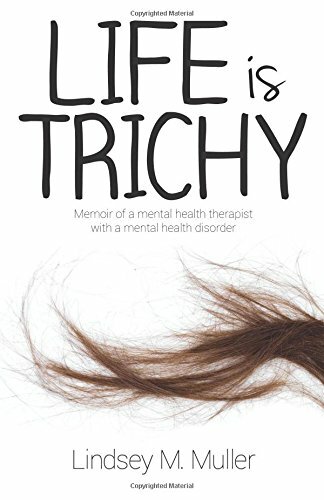 This is a memoir exploring the author’s struggle with trichotillomania (compulsive hair-pulling), dermatillomania (compulsive skin-picking), and a cluster of other anxiety-based problems. 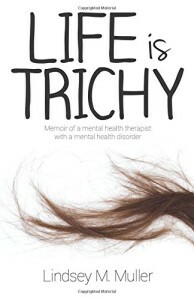 I’m mainly interested in the fact that the author is herself a therapist, so spent years hiding her own struggles from clients, some of whom presented with the very same struggles she herself was facing. 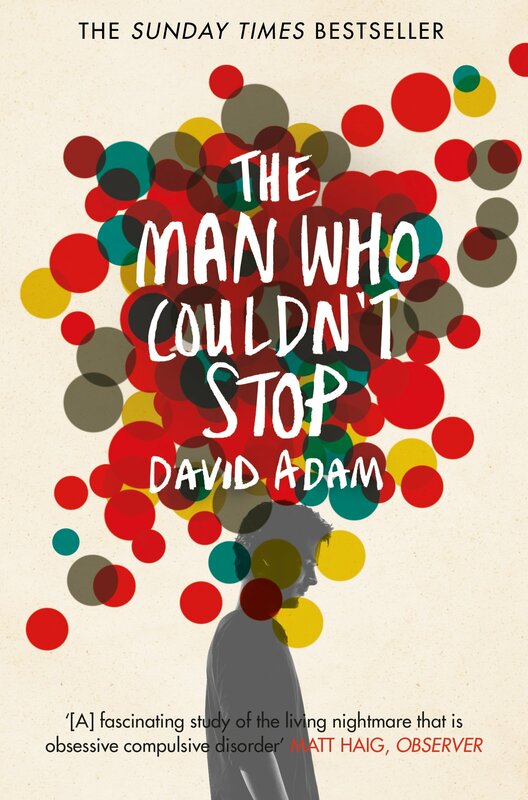 I hope to train as a counselling psychologist in the future, and often find myself wondering whether my own experience of mental illness will augment or diminish my ability to help those I treat, so I am really interested to read about how that balance worked in someone else’s life. A huge thank you to Nancy for a brilliant guest post and for Stevie at Icon Books for asking me to be part of this wonderful tour and for sending me a copy of the book….I can’t wait to read! Nancy Tucker is a 20-year-old author and nanny. She suffered from both anorexia and bulimia nervosa throughout her teens, but is now on the road to recovery and has gained a place at Oxford to study Experimental Psychology in 2015. She lives in London. Hope on over to Goodreads where you could win a signed copy of The Time Inbetween! 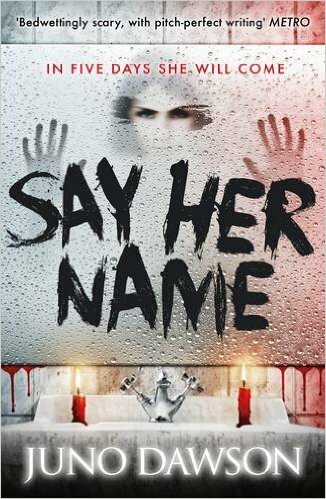 And the giveaway is open internationally! 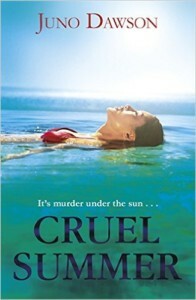 Why not follow the rest of this brillaint blog tour or catch up on posts! Have you read The Time Inbetween? Did you enjoy it? Are you taking part in mental health awareness week? I would love to hear from you! Why not leave a comment using the reply button at the top of this post or tweet me on twitter using @chelleytoy ! 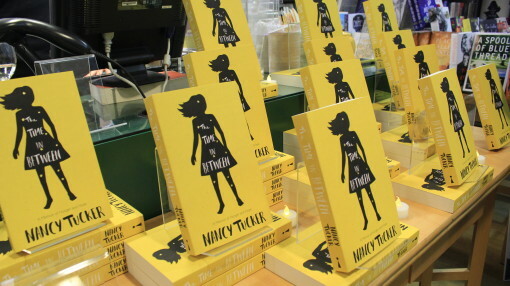 This entry was posted in Guest Post, Non Fiction, Self Help, UKYA, YA and tagged Blog Tour, Guest Post, Icon, Nancy Tucker, Non Fiction, Self Help, The Time In Between, UKYA, YA on May 12, 2015 by Chelley Toy.